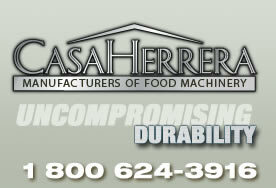 With this top of the line oven, Casa Herrera entered a very efficient single pass baking or toasting option for Corn or Flour Tortillas, and Tortilla Chips, where product alignment is vital to follow a constant flow as production requires. 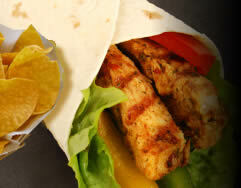 Best for production of tortillas for the Burrito, quesadilla, or empanada markets. 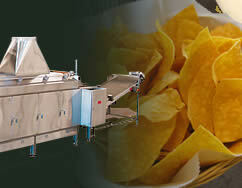 Also great for the production of dried oil free or low oil tortilla chips. Efficiency and product quality are achieved through our special design multi-zone temperature controls to select adjustable areas in the oven according to product consistency. Pilotless burner system with independent ignition by zones. 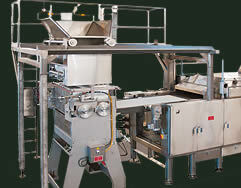 Selection of all IR burners, or combination of IR burners and ribbon burners for product quality. Multiple Exhaust systems to control heat flow in the oven. 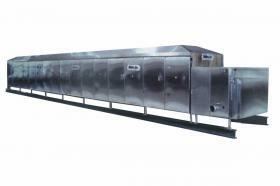 Independent combustion air inlets for IR and ribbon burners. Stainless steel panels and doors with double insulation. Fully automated controls by Automation Direct PLC. Works with the efficient Magna254 or Magna305 sheeter heads. Hi-carbon BWV or CB5 mesh belting.